Check out our latest blog posts. Looking to make the most of your time with us? Our Owner, former UK #1 Paintball player and World Cup winner Tommy ‘Gun’ Pemberton, lays down his Top 10 Tips and helpful advice for players playing Paintball with us at GO Paintball London. 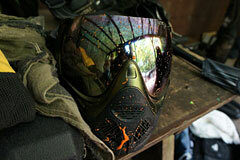 Top Ten Tips to play the best, get shot the least and get the most out of your day of Paintball. Here at GO Paintball London, we believe that paintballing is a sport that should be experienced by everyone at least once. For younger players, it’s especially exciting, immersive, and a great chance to get them outdoors. 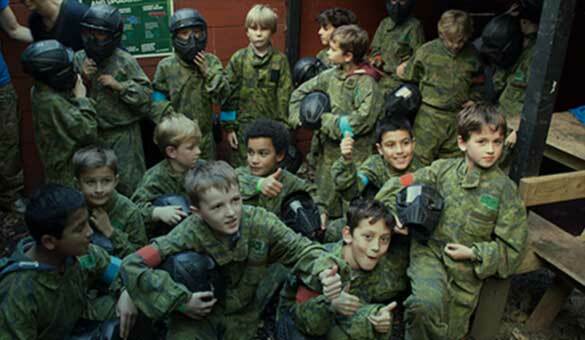 Not all kids will have played mini paintball before, so here’s a beginners guide before you get involved! If you’re looking for a new activity to try this year, or you live in the Kent area and are on the lookout for exciting days out, look no further. 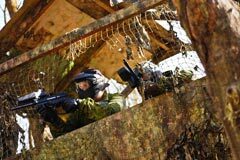 GO Paintball London provides the most exciting paintballing that Surrey, Kent and London has to offer. Don’t believe us? 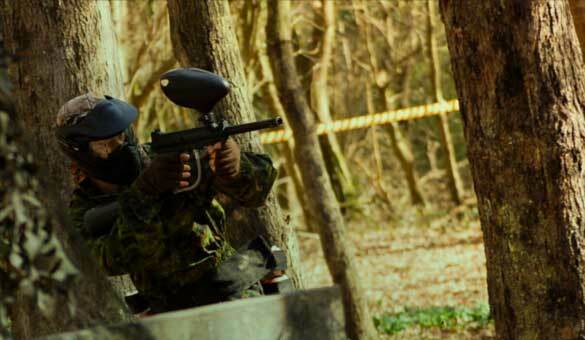 Here are a few reasons paintball is the perfect activity for an adrenaline-fuelled day out. 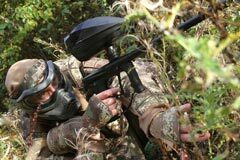 In the digital age, where the majority of new and exciting hobbies being offered to children are technology-based, the opportunity to get outdoors for a unique activity like kids paintball should always be embraced. At this time of year, many of us try to get into shape by embarking on a fitness regime and diet. The problem is that the gym and other conventional exercises can quickly become a chore, which is why an activity like paintballing has a better chance of keeping you engaged and boosting your chances of improving your fitness. There’s no doubt you’ll experience more than enough Christmas events and activities this month. So, why not do something unique and exciting to put yourself in a good mood for the festive season? 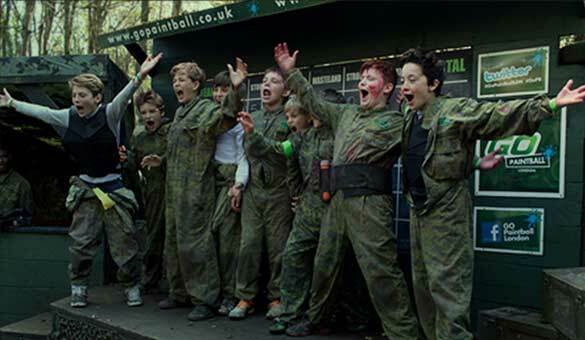 It’s safe to say that paintball ticks both of those boxes! There are many ways to encourage competition within your team in a progressive way – and one of the most beneficial for employees is out-of-office activities. 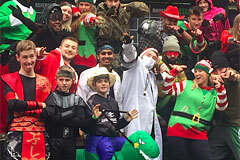 When it comes to exciting group fun, it really doesn’t get more engaging and competitive than a day of paintball, making corporate paintball an ideal option for your employees. When it comes to business, leisure, culture and fashion, London truly is a global city. Creating an itinerary for your visit is always a good idea to include the best sights and attractions. 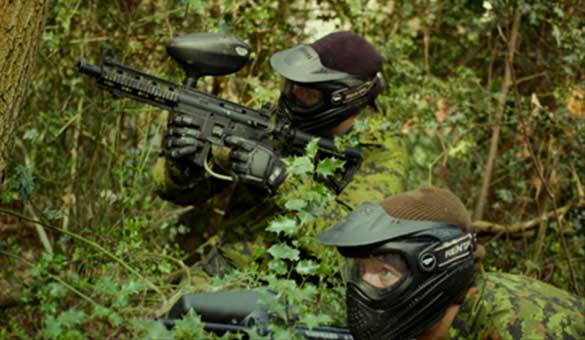 But if you’re aiming for a more unique visit to the capital, paintball near London should definitely be on the list. Although London does provide you with an enormous variety of attractions, the surrounding areas of the capital also have a lot to offer. More rural settings, charming surroundings... and experiencing a day of action-packed paintball near London. The summer holidays are just about over, so before your children embark on a new school year, it’s only right that you give them a season finale to remember. 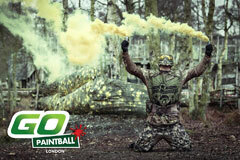 A day of paintball in London will provide all of the necessary excitement, fun and fond summer memories! The end of summer is right around the corner – and with it goes the small window of warm weather in the UK. Instead of heading into autumn down in the dumps, use this time wisely and give yourself an end-of-summer treat. 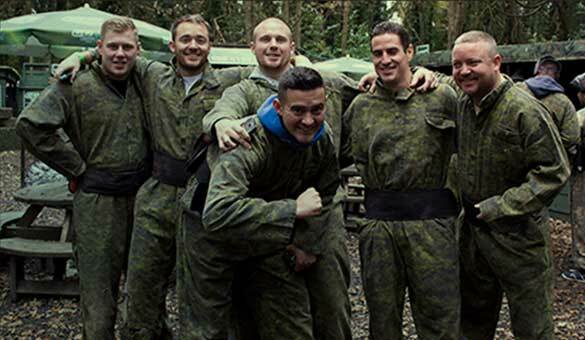 What better way to boost your morale than a day of paintball in London? The summer holidays are an easy time to keep younger kids happy, but older children may prove to be a tough task. Luckily for you, a day of paintball in London will provide more than enough action and excitement to fit the bill. 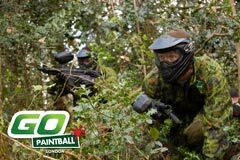 If you’re not a Londoner and will be visiting the capital for a day at GO Paintball London, what kind of hosts would we be if we didn’t give you a quick guide to make your trip run as smoothly as possible? With Father’s Day right around the corner, now’s the time to make a battle plan. Paintball offers a unique and exciting activity that’s the ideal choice for a celebratory dad day. Paintballing: A Safe Extreme Sport? Paintball is considered an extreme sport and shares many similarities with others in this category. But despite its combat format and use of weapons, it’s much safer than many “extreme” alternatives. Staying in shape can be challenging at the best of times – and being surrounded by chocolate at Easter makes it even harder to maintain a beach bod. Luckily for you, Paintball is the perfect activity to burn off the calories. A house full of chocolate-fuelled children can be hard to handle at the best of times, so during Easter, it’s best to plan ahead. Paintballing might just be the ideal choice of activity. It’s usually at this time of year that resolutions are being made, diets are being undertaken and people are keener than ever to try new things. If you’ve decided that you need more activities in your life, or even if you haven’t, GO Paintball should be at the top of your to-do list. Now that 2016 is a distant memory and you have a whole year ahead to make the most of, it’s important to inject some fun into your life wherever possible. What better way to do so than by immersing yourself in the excitement of paintball? Christmas may be gone, but the fun doesn’t have to stop. 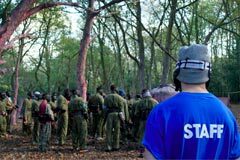 Paintballing is the perfect activity to make the start of 2017 one to remember. Christmas isn’t what it used to be! The responsibilities of being a grown-up can make it quite a stressful time, with less room to enjoy yourself. No to worry: we have you sorted for the New Year. 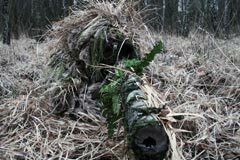 If you prefer to work independently and pick off targets when the opportunity arises, maybe you should look to the sniper on your next battle. 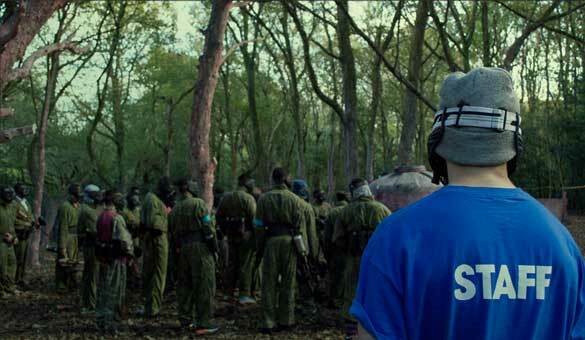 Heading into your debut on the paintball battlefield with a plan is never a bad idea. We’re not just blowing our own trumpet; our customers agree that we put on the best outdoor paintball games near London. Find out more about our weapon upgrades and accessories, plus our not so ‘standard issue’ equipment hire.